Welcome to our newest edition of Learning with: ___! Our fellow from The Swearer Center at Brown University, Carlos, will be discussing how the musical genre of Bachata has impacted his life. Want to know more about Carlos? Check out his #BeyondTheBooks article or his bio on our website to get a fuller picture of who he is. We hope you enjoy learning with Carlos! Bachata has been an integral part of my childhood and adolescent life. It was one of the first forms of music and dance that I was introduced to. Bachata is a popular music mainly based on the guitar, tamboras, and güira. The music and the dance originated from the countryside of the Dominican Republic. 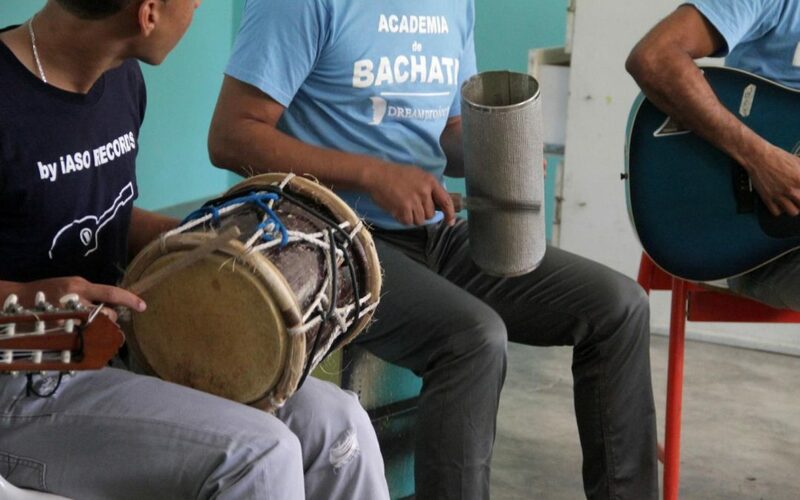 Bachata has essentially chronicled the various experiences of a segment of the population – the “campesino,” who today continue to fuel the economy of the country. It is accurate to say that based on the personal experiences of my family that “the higher echelons of Dominican society felt that bachata music was an expression of cultural backwardness.” However, the music and dance memorialize the historical changes of the campesino’s economic ascension through immigration to the United States and its impact on the economic strength of the country and how that impact evolved in the music being accepted by the mainstream population in the Dominican Republic. During the 1960s, Bachata was referred to as a variant of the bolero. It was not until the 1980s, when bachata became widely known due to popular demand, that it was regarded as Bachata. By the ‘80s, more radio stations began playing bachata and bachateros were soon seen playing on television. At the time, Bachata took a more dancehall style of sound: with increased tempos, punchier guitar playing, call-and-response singing being more prevalent. Bachata style merengues, or guitar merengues, became an essential part of the Bachata repertoire.